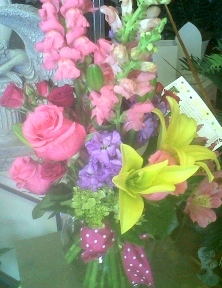 NATURE'S NOOK FLORIST, LLC... Delivering Nature's Finest to your Door. 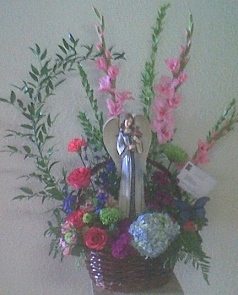 NATURE'S NOOK FLORIST, LLC is located in the Monte Vista area just outside the Casa Grande City Limits. Our building is unique, being one of Pinal County's most recognizable Historic Landmarks built in 1947. The Main building is wrapped in stones with the front displaying many varieties of semi-precious stones and even ancient matatas (stones used to grind corn). The structure built to resemble an old time TeePee is also stone, rocks from the area.... steeped in history, mystery and intrigue. Stop by and we will give you the "Wooden Nickel" tour. 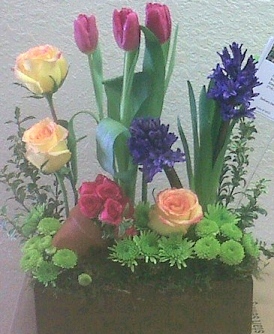 NATURE'S NOOK FLORIST, LLC is a professional local florist proudly serving Casa Grande, Arizona and surrounding areas. Our friendly and knowledgeable staff is ready to assist you when you need flowers delivered locally or anywhere in the world. For your convenience, we also offer daily delivery service to local hospitals and funeral homes. W e will design and deliver an arrangement that beautifully conveys your feelings of sympathy and serves as a lovely tribute to the deceased. Call us in advance at 520-836-9736 to schedule your consultation. 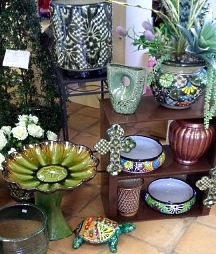 Browse our wonderful Live Indoor and Outdoor Plants, green plants, blooming plants and dish gardens for a gift that adds life to any room or office. One of our gift baskets of fruit and goodies would make a thoughtful and tasty choice anytime of year. 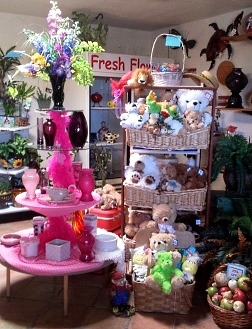 We also offer gifts for any age or occasion, including plush stuffed animals, balloon bouquets, candy & chocolates, silk arrangements, baby items, home décor, scented candles, Metal Art, Southwest Decor, Contemporary Decor, Unique Gift Items, Rocks, Mister Systems, Rosaries, Huge Selection of Crosses, Garden Decor, Permanent Succulent Gardens, Angels and more!